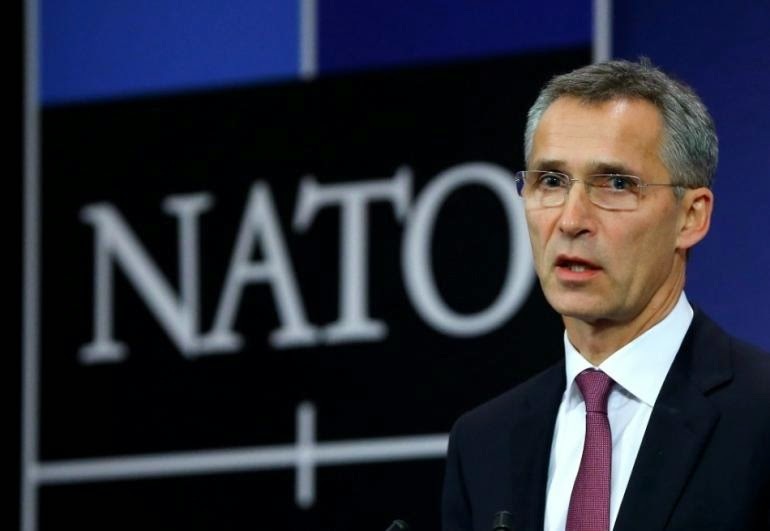 BRUSSELS, Belgium -- NATO said on Saturday that Russian troops were supporting a rebel offensive in eastern Ukraine with sophisticated missiles, rockets and drones and demanded Moscow halt its support. Pro-Russian rebels launched an offensive against the strategic port of Mariupol in eastern Ukraine and officials there said rebel rockets had killed at least 30 people. But the EU's foreign policy chief Federica Mogherini, seen as dovish toward Russia, suggested in a memo this month that EU governments could start talking to Russia again about global diplomacy, trade and other issues if Moscow implemented the Minsk peace agreement to end the Ukraine conflict. Mogherini's proposals were met with suspicion by some EU countries that feared they would send the message to Russian President Vladimir Putin that the EU's resolve was weakening. Mogherini said in a statement on Saturday however that the further escalation of the Ukraine conflict "would inevitably lead to a further grave deterioration of relations between the EU and Russia."